American Express is a global service company, providing customers with exceptional access to products, insights and experiences that enrich lives and build business success. Each day, American Express makes it easier, safer and more rewarding for consumers and businesses to purchase the things they need and for merchants to sell their goods and services. 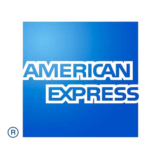 An engine of commerce, American Express provides innovative payment, travel and expense management solutions for individuals and businesses of all sizes. Most of all, we help our customers realize their dreams and aspirations through industry-leading benefits, access to unique experiences, business-building insights, and global customer care. We enable our customers to do and achieve more.